The suspected murder of a teenager has been reported to the body that oversees complaints against the police, Sussex Police has said. The Independent Police Complaints Commission was notified by Sussex Police following the discovery of the 19-year-old woman’s body at an address in Chrisdory Road, Mile Oak yesterday. 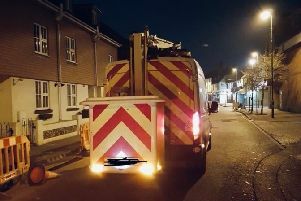 Sussex Police said: “The death has been notified to the IPCC owing to there having been previous police contact with the deceased and other people. As previously reported, a 27-year-old man from Portslade was arrested in Burgess Hill yesterday on suspicion of murder after the body was found. Click here for the full story. Police added that a post-mortem is expected to take place in Brighton later today, and that the address is still a crime scene as forensic work continues. They are not formally identifying the dead woman at this stage but said they will do so as soon as possible.